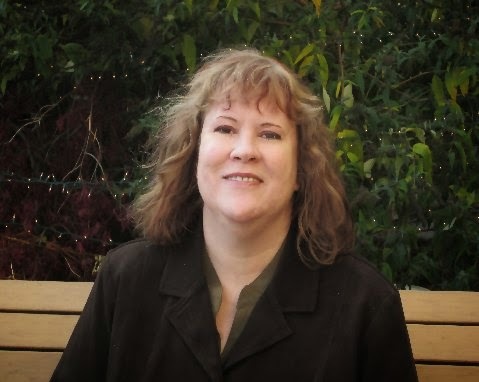 Susan Jane McLeod has been writing since she was seven years old. At age eleven, she won a countywide essay contest, and her professional career was launched. By the time she was nineteen, her poetry had appeared in several magazines, including American Girl and Seventeen. Susan grew up in Rochester, New York, with her three sisters and one brother. In her early thirties, she was diagnosed with ovarian cancer and given a 50/50 chance to live. She survived only to have the cancer recur, necessitating more surgery and an aggressive course of chemotherapy. Today she is cancer free. The best job she's ever had was managing a bookstore, surrounded by her passion: literature. 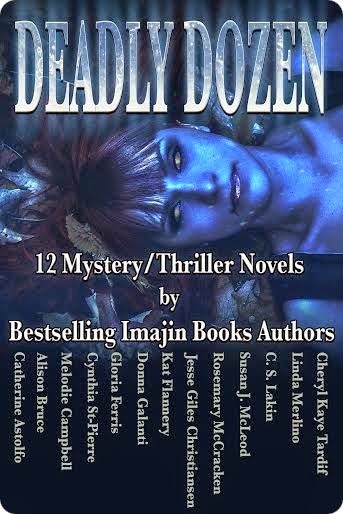 Deadly Dozen is available at Amazon. I was traumatized at the age of six by the story of the Gingerbread Man. I couldn’t deal with the fact that he got eaten by the fox at the end. So I crossed out his tragic fate in the book and changed it to “And the gingerbread man ran away.” Once I discovered that you could create your own reality there was no going back! It’s true that most authors are cracked—oops, sorry, I read that question the wrong way. Yes, it’s definitely all that it’s cracked up to be! I love it, and the feeling of melting into your story is sublime. When I write, I feel I’m connected to every emotion humans have ever had. It’s the same sort of feeling I get during meditation, but stronger. And then when someone reads you and is moved by your work, and tells you how much they enjoyed it, it’s so fulfilling. I think most authors would agree that the worst demand is marketing. And having to pay your publisher “protection” money. They do all require that, don’t they? I self-published the first edition of Soul and Shadow on Lulu. The only difficulty I had, being technologically impaired, was finding someone to do it for me. But it was all roses and sunshine after that. I didn’t have any great expectations and there was no pressure on me. I did have it professionally edited, which is especially essential for an Indie author. When Imajin bought the work I was very excited. More doors opened up. I got a fantastic new cover and a book trailer and more editing that really made the story better. 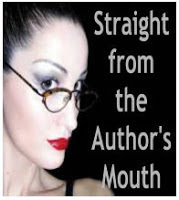 Imajin is a close-knit company with an extremely savvy owner and wonderful fellow authors. I’m lucky there. The rules of the game are always changing. What is fine one day may be a criminal offense on another. You have to stay on top of things, because the industry is in a constant state of flux. It annoys them. They think I can just stop and pick it up again at any point. I don’t like disappointing you, but nothing really insane has happened yet. I’m sure it will one day. Meanwhile I can make something up if you’d like. I’m good at that. I think Twitter is the most effective. Facebook runs a close second. Those are the only two I use. If I started google-plussing or pinning things, I’d never get away from marketing and my head would explode. Besides prayer? Advertising. I took a third job to get money for advertising, and it’s well-worth it. Engaging people on social media is important too. You put it so well, what more can I say? I love entertaining people and I wouldn’t have it any other way! So long, and thanks for the tea!